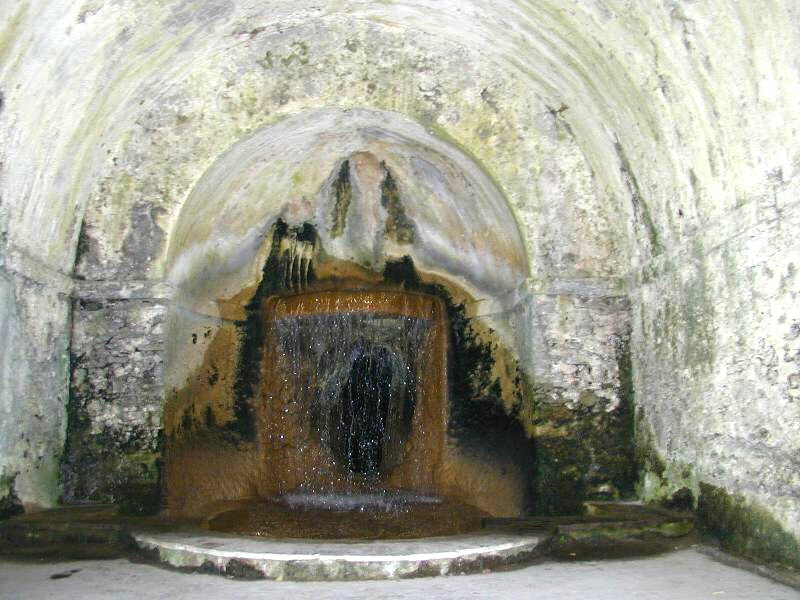 Wall fountain. Villa d'Este, Tivoli, Lazio, Italy. Johnston, Frances Benjamin, 1864-1952,, photographer. 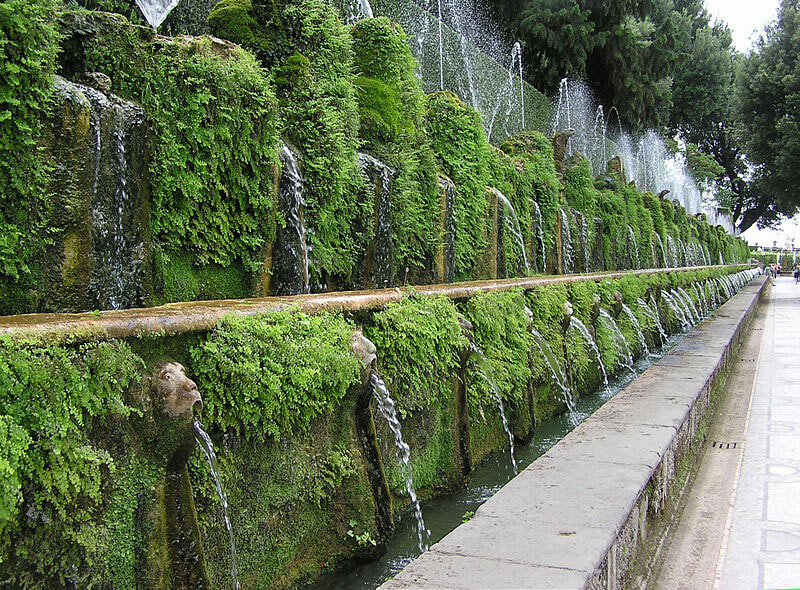 The Villa d’Este in Tivoli is a masterpiece of the Italian Renaissance and is listed on the UNESCO list of World Heritage Sites. 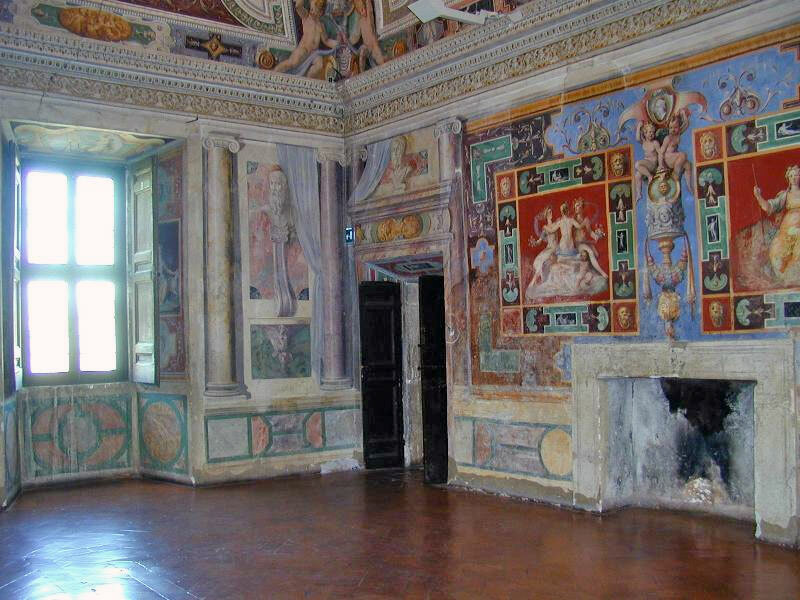 The villa was commissioned by Cardinal Ippolito d’Este, son of Alfonso I and Lucrezia Borgia (Ferrara 1509 – Rome 1572), on a site of a Roman villa. The history of its construction is linked to the events of its first owner. Pope Julius III thanked the Cardinal d’Este for the essential contribution made in 1550 to his election to the papal throne by appointing him governor for life of Tivoli and its territory. 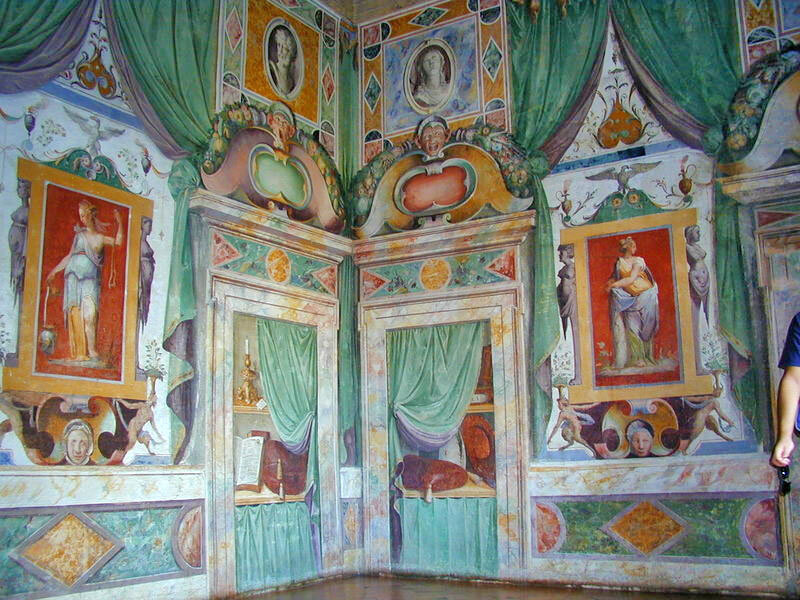 The cardinal arrived in Tivoli on 9 September and made a triumphal entry, but discovered that he would have to live in an old and uncomfortable convent attached to the church of Santa Maria Maggiore, built centuries earlier by the Benedictines, now held by the Franciscans and partially readjusted to governor’s residence. Hippolytus decided to turn the convent into a villa. 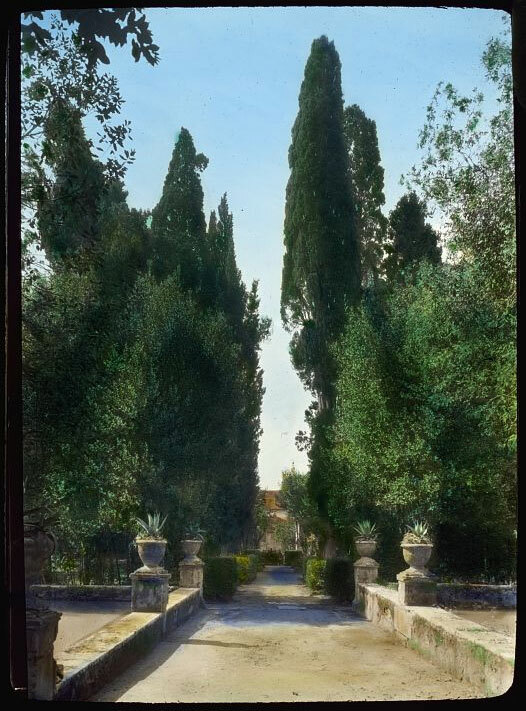 This would have been the twin of the grand palace that he was building at the same time in Rome, in Monte Giordano; while the Roman palace was intended to serve the “official” receptions in Rome, the villa of Tivoli should have been a pleasant place for meetings. 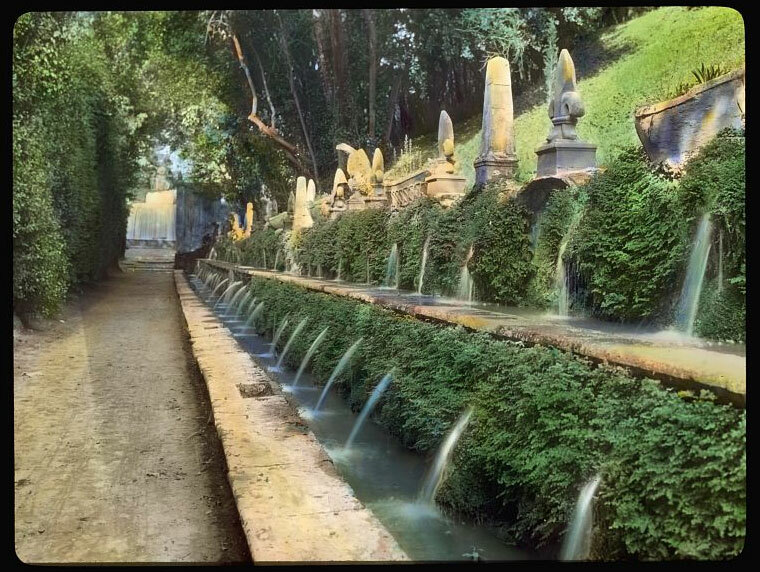 Great Cascade, Tivoli, Lazio, Italy, between 1890 and 1905. 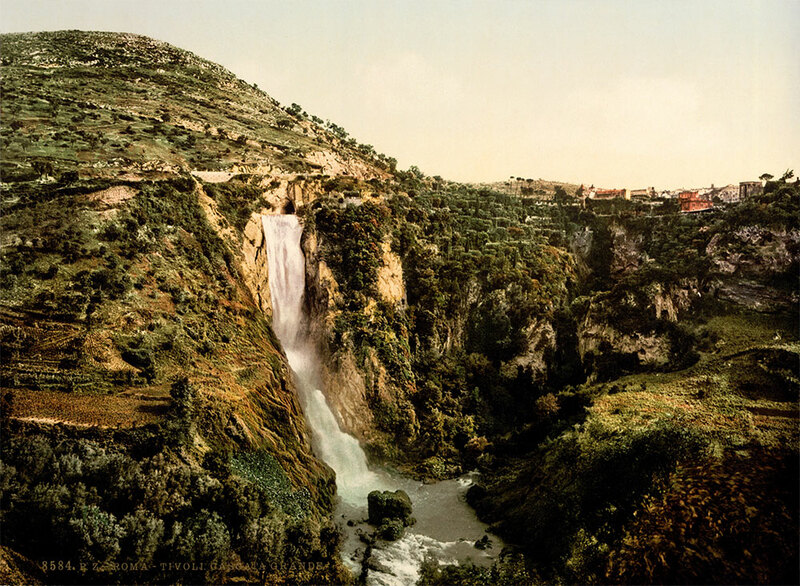 It is no coincidence that the place where the villa was built had the name “Valle Gaudente”. 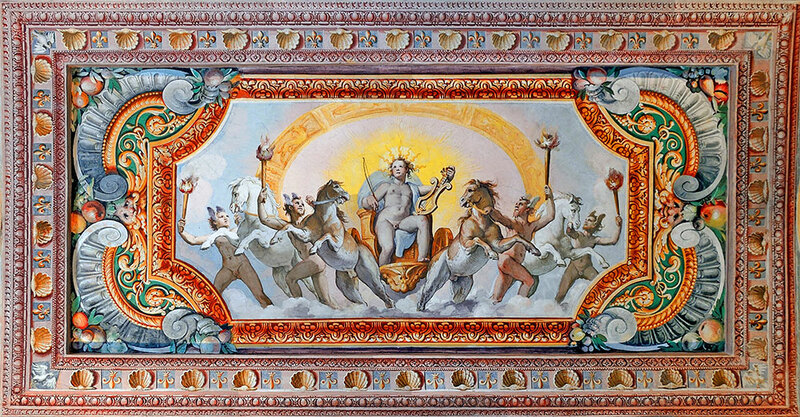 The works were entrusted to the architect Pirro Ligorio, flanked by an impressive number of artists and artisans. The Cardinal barely had time to enjoy the solemn inauguration of the villa, which took place in September 1572 with the visit of Pope Gregory XIII; in fact, he died on December 2nd of the same year. 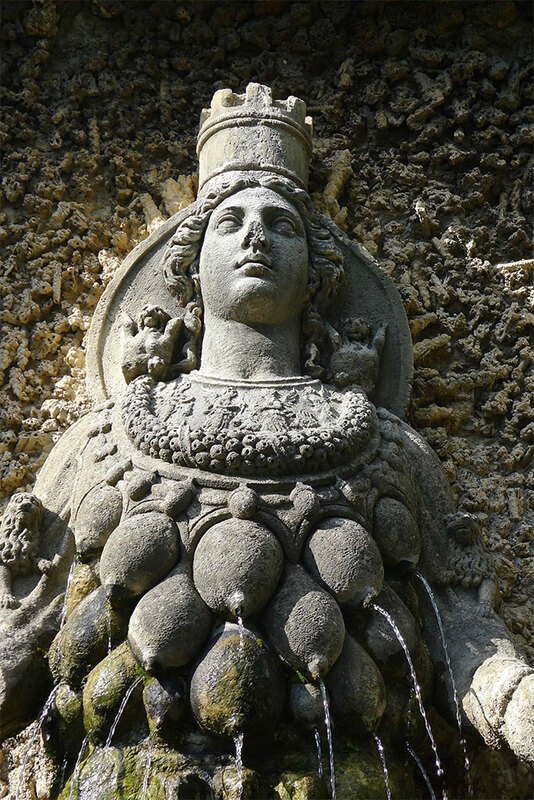 Villa d’Este, Tivoli, Lazio, Italy. View of town. Johnston, Frances Benjamin, 1864-1952, photographer. Glass lantern slide, hand-colored. 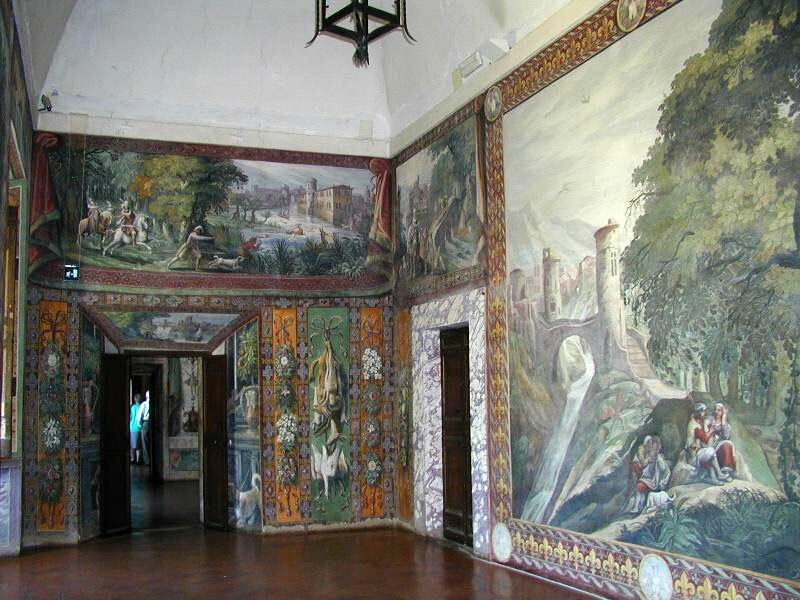 The first owners were three cardinals of Este governors of Tivoli: the patron Hippolytus II, the nephew Luigi until 1586 and finally Alexander, until 1624. 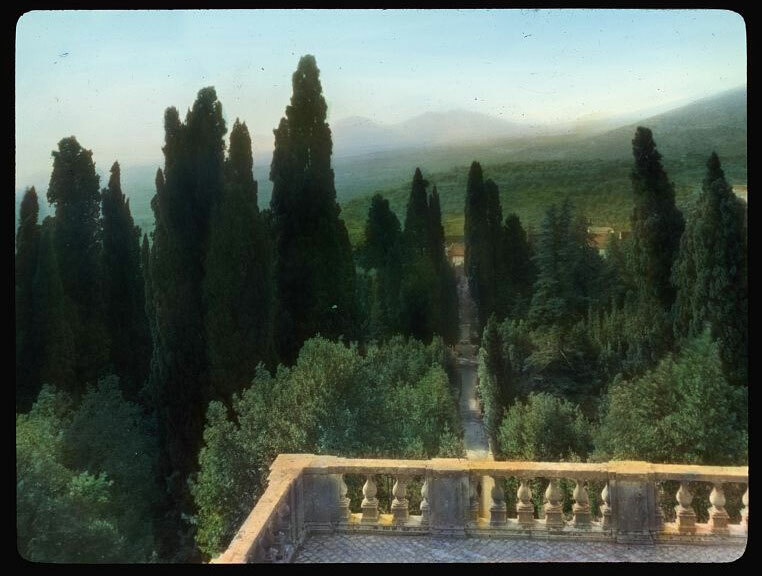 In 1918, after the First World War, the villa passed to the Italian State that began important restoration work and opening it to the public. Another series of restorations was then performed after World War II to repair the damage caused by bombings during the last world war. Villa d’Este, Tivoli, Lazio, Italy. Shaded walk. 1925 summer. Johnston, Frances Benjamin, 1864-1952, photographer. House Architecture: Pirro Ligorio, 1560-1575. 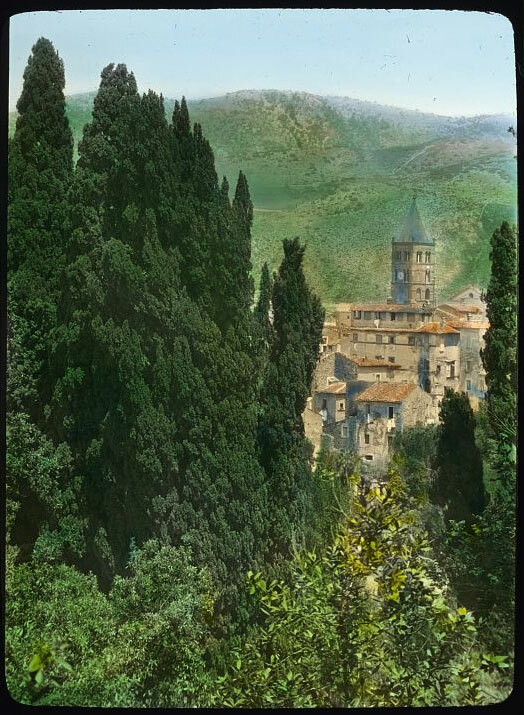 Landscape: Pirro Ligorio and Cardinal Ippolito II d’Este. View to Sabine Mountains from villa. Villa d’Este, Tivoli, Lazio, Italy. Johnston, Frances Benjamin, 1864-1952, photographer.